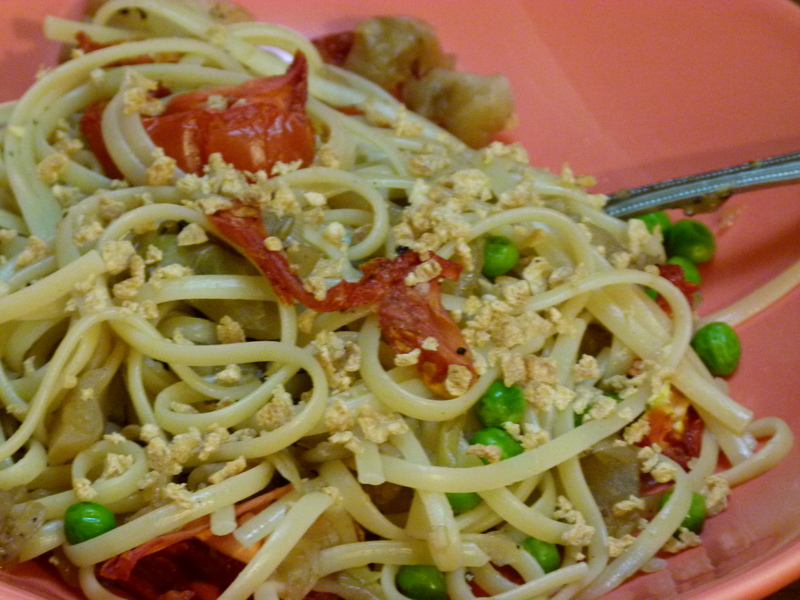 Pasta is one of my favorite easy dishes to prepare without fat. Any super nice looking produce from your local market or weekly farmers market can provide the inspiration for a new flavor or texture combination. I always feel compelled to just buy the thing that looks most interesting or particularly delicious that day, no matter what I had on the shopping list. Today, that “thing” was a fennel bulb with its greens attached. It waved at me, and now its greens are building my homemade vegetable broth for the coming week, and it’s bulb is sliced and caramelized in Marsala with garlic, fennel seed, and lemon zest. I am kicked back in my garden with a little shot of limoncello and it isn’t much of a stretch to believe I’m actually in Sicily. In your favorite sauce pot, bring first 10 ingredients up to a quick boil, lower the heat and cover, simmering for at least 45 minutes. Cook 3/4 lb. whole wheat linguine in salted water until tender. Drain, reserving 1 C of pasta water. 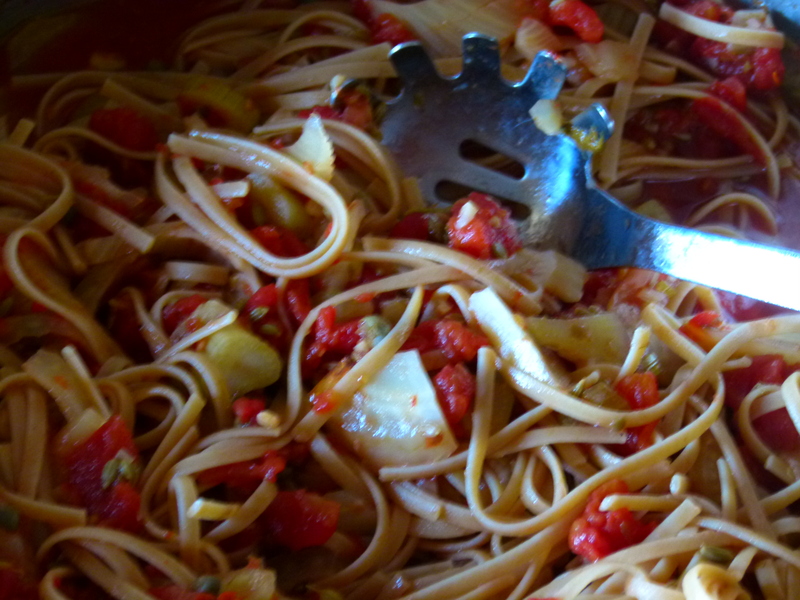 Toss linguine with braised fennel. Add reserved pasta water and toss on low heat for 5 minutes. 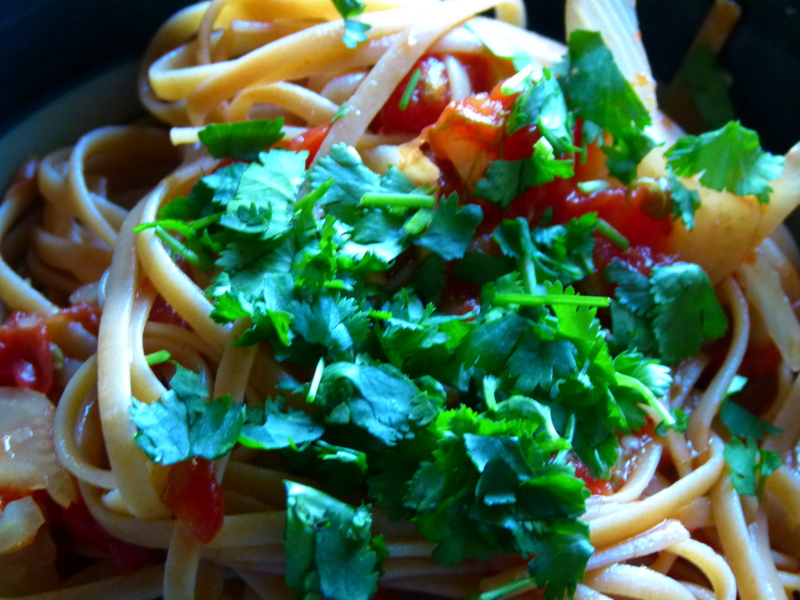 Garnish with lemon zest and parsley.